f your alarm breaks down it can be worrying and stress-full trying to arrange a repair as fast as possible. Stop and give us a call, in most cases we can repair the alarm on the spot or the same day and get your world back to normal bringing back your safety and security, as experts in the repair of electronic security systems we will offer you a one year guarantee on all repairs (subject to terms and conditions). As electronics engineers we carry all the latest test equipment and any spare parts that you could ever need ranging from a door contact to a new alarm panel and everything in between.We stock parts for both wired and wireless alarms and if we don’t have it, it can normally be sourced and received the same day or for next day delivery. 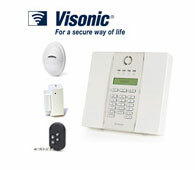 we repair all makes of alarm system and can produce the manuals for engineering and user if required. The solution to repairing your alarm system is one phone call away so don’t hesitate and call 07525249456 or 08005003013 and we will be happy to assist you with your repair and will offer free advice on any issues you may have with your immediate safety and security and depending on the fault we might be able to get your system running again over the phone. Call 07525249456 for instant help with getting your system running. 08005003013. Or fill out the quick contact form below. The brands and trade marks shown above are property of their respective holders and are used for product identification and are only used to promote further sales of the manufacturers product. Following a site inspection and diagnostics we will on being satisfied that it is a reliable and safe system issue the end user or management company with a years cover for diagnostics only,this will also depend on the age and condition of the system, if the system does not fit into this criteria then advice will be given for getting the system to standard. if the end user or management company wants to carry on with the preventative maintenance for the following year a site inspection and a quote for the year will be issued in writing. The aftercare is for diagnostics only and no parts or labour are included. If the end user or management company wishes to add additional cover for parts and labour a written quote will be issued on request and be subject to a thirty day validity period. The aftercare does not cover any accidental damage or vandalism damage to the intercom system,storm or rain damage, lightening and sun damage.